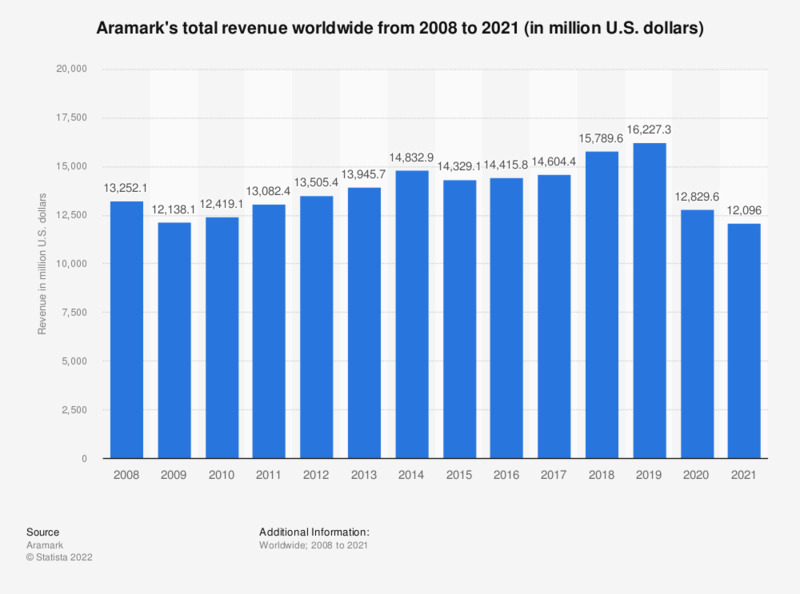 This statistic shows the annual total worldwide revenue of Aramark from 2008 to 2018. In 2018, Aramark had total revenues of over 15.8 billion U.S. dollars. The Aramark Corporation is an American foodservice, facilities, and clothing provider headquartered in Philadelphia, Pennsylvania. * For the fiscal year ending on the Friday closest to September 30. Values prior to 2014 taken from previous reports. Which of the following best describes your facility/institution? What type of onboarding training do you offer employees in your facility(s)? What is your company's average hourly wage for front-line employees?